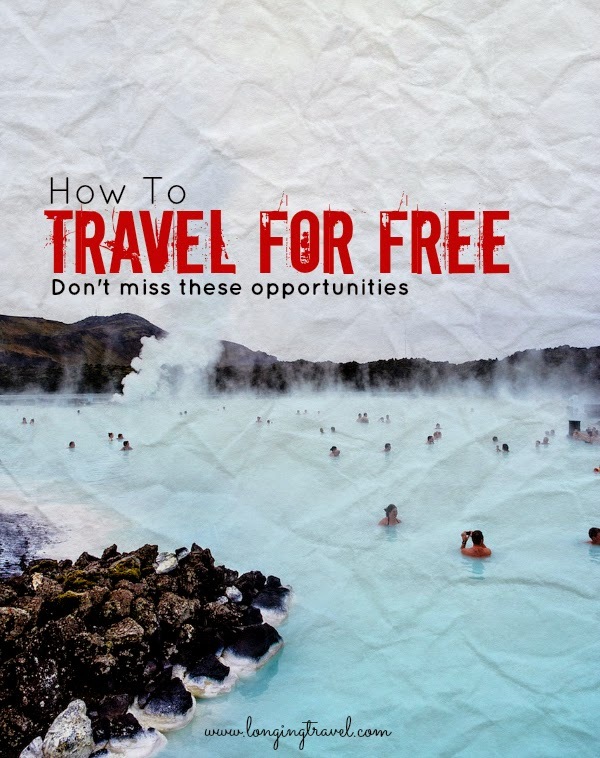 Travel With Your Job 4: How to Travel for Free- Don't miss these opportunities. Free travel is a dream for many simply because it means that they do not have to dish out a penny and still feed their wanderlust. This post focuses on travelling with your job, though most of the opportunities can be used by anyone. (This is the reason why WOOF and volunteering or working on a cruise ship are not a part of the post.) If you are interested in reading about sponsored travel head over here. If you think free travel is reserved for eminent people or those higher up in the office hierarchy you are mistaken. What they get is business travel which not always includes free time and many have to work crazy hours to even be eligible for such perks. The kind of free travel we are looking at is the one which you can get and earn by doing a few things. These include free flights, free night stays and heavily discounted deals which can drastically bring down your travel expenses. Though if you are looking for an all inclusive trip, this is not about it. The post talks about different ways of getting free something for your travel adventures right from using credit cards to earning miles by spending nothing. We discussed the merit of holding a good Credit Card a few weeks ago but all good things should be repeated. Credit cards when chosen well and suitable to your purpose can change the way you travel. We for example check for the miles we have accumulated before we pull out our credit card to book tickets or rooms. If you are still not using or planning to get a good travel card you are putting a lot of money on table which could have happily stayed in your bank. Most of the airlines have their own miles or loyalty programs. The biggest benefit of these are that even if the actual monetary price of the ticket goes up the miles required to buy a certain flight remain the same. If you have flown in one of the airlines which give you loyalty points and have not claimed any you are wasting your miles. For example we got two tickets from Chennai to Hyderabad for just 1200 (taxes which you have to pay) because we were wise enough to build our mile reserve on Jet Airways and there is nothing better than receiving bonus joining miles or online booking bonus. Just by signing up for loyalty programs you are opening yourself to future opportunities. I really hope you know about this if you already own a loyalty account with any airlines. Whether you fly for travel or for personal purposes, and no matter who books your tickets you are eligible to get miles for your travel. For example my office booked my return ticket to from Hyderabad to Kuala Lumpur with Malaysian Airlines. I did not spend a penny but I did end up getting Enrich miles for my travel when I claimed the same on their site. On the other hand one of my colleague who had taken two such return journeys did not claim these miles and was therefore at a loss. Most airlines form alliances and some partner with another to provide service to their customers when they want to fly a route the airline does not service. In such cases you stand to gain miles for flights taken with code-shared or partner airlines. The best part about this is that you also get miles with the airline you actually flew with. The KL flight above got me miles with both Malaysian Airlines and Jet Airways contributing to my miles kitty. If your airline allows transferring miles to or from their partner airlines you are in great luck. Miles are just like money well at least for advertisers who join hands with their airlines to have their customers try or buy their products. There are chances you can earn miles just by writing reviews or by test driving a new car. or maybe by taking a insurance consultation. We benefited hugely by writing reviews of hotels on Tripdvisor, something we would have done anyways and earning over 40000 Jet miles including two bonus mile wins one for each one of us. Most hotel chains like airlines run their own loyalty program which you can subscribe for free. In many case just by the virtue of being a loyalty member you are eligible to get a free night's stay during some promotional offers. Apart form these promotional offers which might run from time to time you care eligible for free nights after clocking in certain nights. Here again, if your office pays for your stay you are eligible to get it on your loyalty card. Many of these hotel chains are also partners with airlines giving you another option to earn miles and points on both fronts. Most companies now days have a newsletter of sorts which gives out information related to various deals and promotions going on. Being on those can be the difference between paying full price or getting 50% off. 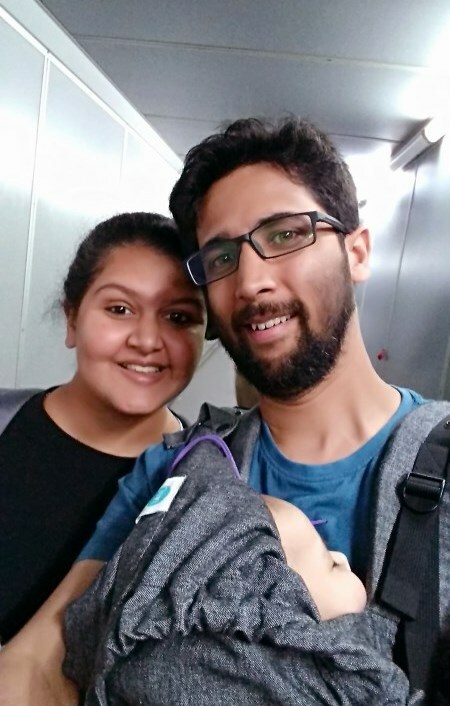 This is what happened when we were leaving for Goa to get our SCUBA Certification. I got an email from awesome people over at Airbnb which gave me 3000 Rs off on any booking. We had already decided on a place which would cost us 700 a night for two people. For five nights we would have had to pay 3500 total but with our discount and including the service fee we had to pay around 1400 for five days stay for two. Same with Uber which has now become our wheels of choice. Not only is the service as it is cheap compared to standard taxi services they give out great discounts too on your mail. You can sign up on Uber with this link and get Rs 300 off on your first ride or sign up for Airbnb using this link and get over 1500 in Airbnb credit. Also when you sign up for the blog here yo will get our newsletter which contains many downloads, resources and deals. When we just started out I was scared of using affiliate links others had put up, simply because I was not sure if it was the right thing to do. Now I have realized that these links can help you even more than it helps the affiliate. Also as long as you are getting a good deal it should not matter to you how much it is earning the other person. For example if you do sign up on the Airbnb link above you will get around 25$ in credit while I will get 25$, a win for both of us. Have you been giving up any of these opportunities?